Lets say we want to make a screenshot of a BaZi, WWG or any other chart on a website so we can post in a forum. To do that, we can use a function that comes with Windows that allows us to capture anything we see on screen. On Linux that would make an Image right away, while on Windows it will just copy what we see. If we press the Print Screen button(right of the F12 usually), it will record view of our screen. If we instead press Ctrl+Alt+Print Screen it will record View of our active window. Lets say I press Ctrl+Alt+Print Screen now. Install by double clicking the file and following the prompts. As we already pressed Ctrl+Alt+Print Screen we have what view saved, we just need to make it show up. For that we go to Edit>Paste or Press Ctrl+V. 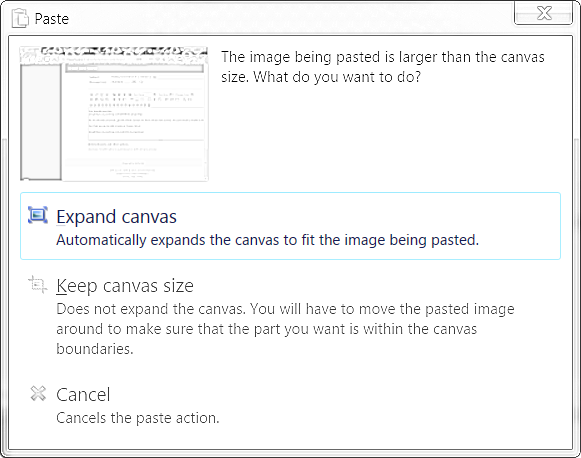 Its very likely it will ask us if we want to resize the canvas. That means that our Image is bigger then the space provided, we do want it to be all visible, so we click on Expand Canvas. We choose png if it isn't selected already and we choose where we want to save it(My Documents can always work if we do'nt have folder for Screenshots or Questions). We Choose .png if we haven't already and we have our Image. Then we upload it to the attachment in the post here. 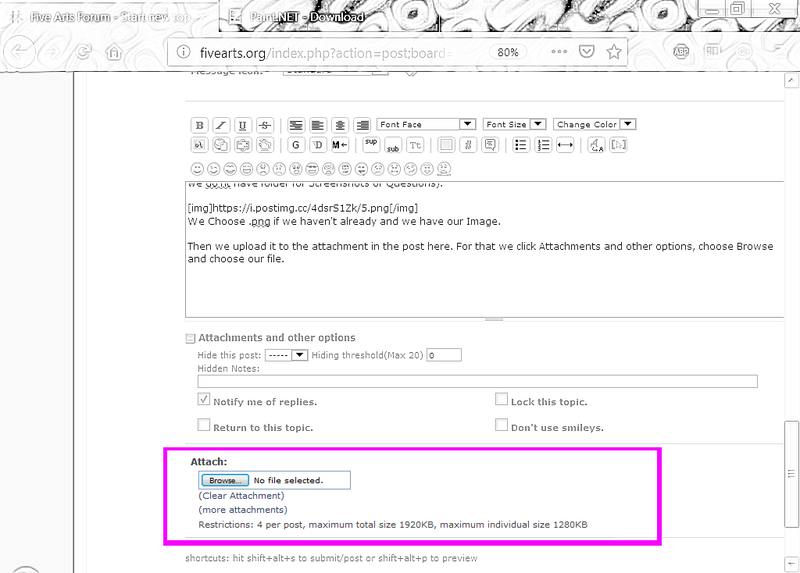 For that we click Attachments and other options, choose Browse and choose our file. Another way is to upload to an Image hosting site, I'm using postimage as I'm used to them. Last part, we link it here with the tag. Now, if we instead want only parts of the screen to show up there is a few extra steps. 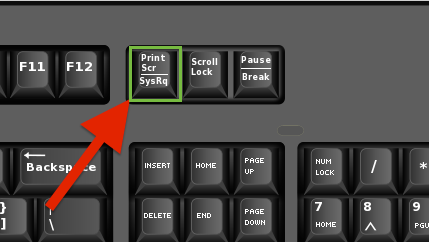 When we are in the app, before saving it, we select the rectangle tool or we press the S key. Selecting what we want to show up. 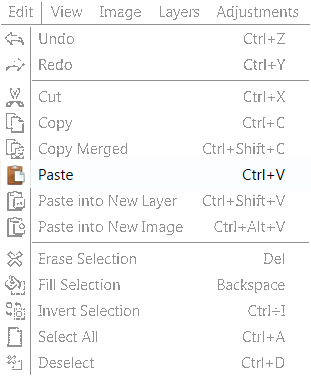 Then we press Image > Crop to Selection or we press Ctrl+Shift+X. Only what was selected will stay. lets say we want to save a chart from BaZi Calculator. We open the site, press Ctrl+Alt+Print Screen(or just Print Screen in this case), we open the program, we press Ctrl+V to pass it. Then we press S to select only the chart. Then same as before, we save, upload and link. There was somewhere around topic for uploading image file to the forum, other then that we can also use free image hosting like postimg.cc I'm using that as I'm used to it and most of the images I use are already in there. 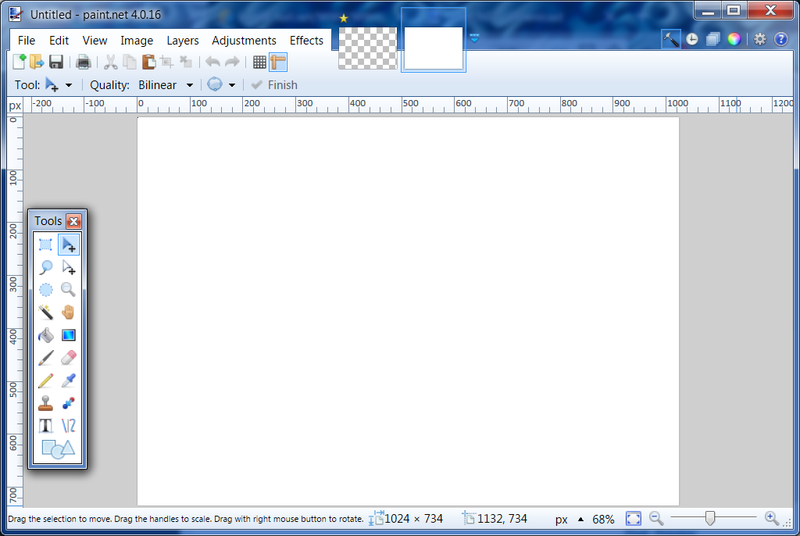 There is also Gimp for creating screenshot directly on software , if your print screen key doesn't work or if you need alternate method that is compatible with all system , it s free and open source software that is avaible for everybody and has Linux , Windows and Mac version (and other too I suppose) . I like and use and recommend ScreenShot.exe where it can manipulate which area of screen you want. now i can play with screenshots .. very useful tool for publishing ,,!!!! 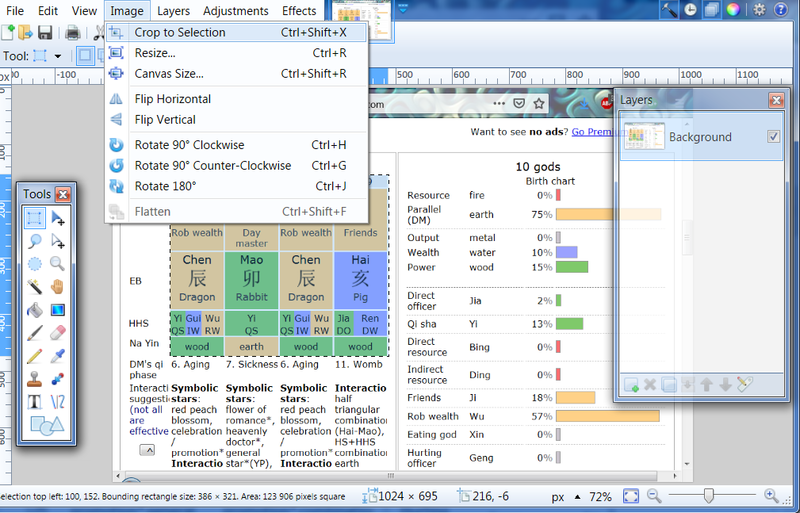 I paste something about SYMBOLIC STARS that is presented in Duan Yi Tian Ji .. Ancient text .. Thanks for the options, Gmuli. I'll give it a try. Will be very useful and handy for storing charts for reviews and research.